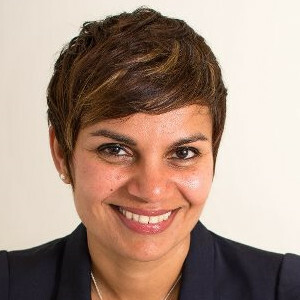 ​Karen Sandhu is an accomplished marketing specialist with a 20-year career working with market-leading media and entertainment companies in Australia, United Kingdom, Middle East, India and Asia. A highly motivated problem solver with a ‘can-do’ attitude, she started her career conceptualising creative promotional campaigns for advertisers on radio, digital, mobile, direct marketing and events in Malaysia and Australia. She learnt the art of content marketing from the undisputed global leader, Red Bull, and cut her teeth in client management managing the title sponsor for Capital Radio’s biggest signature music festival, Parties in the Park. In 2005, she joined Austereo’s (then the biggest market leading radio company in Australia) digital team as their go-to creative solutions expert and was instrumental in helping the company generate non-traditional revenue in the digital space. Karen describes the most challenging yet rewarding point of her career as being the time she was headhunted by Virgin Radio International to represent the brand on a global scale. In this role, she was instrumental in launching the Virgin Radio brand in both India and Dubai. Since then, she has been in senior management positions with a solid track record of delivering on marketing, brand and communications strategy for a portfolio of brands targeting diverse audiences from a corporate, trade and consumer perspective. Karen relocated to Auckland in October 2016 and was initially contracted to help Mediaworks identify key issues around team structure, product, and processes, and delivered an action plan for the business that maximized efficiency and effectiveness at a local and national level. Presently, she consults for one of New Zealand’s largest media and entertainment businesses – NZME – helping the Commercial team win business using research data, consumer insights and sound thinking to deliver the most effective cross-channel plan that delivers on the clients marketing objectives.